I know sometimes I must sound like a broken record. I repeat myself again and again to my clients, my students, my friends, my family. And I’ll say it again. Self-care is not an option if you want to live a happy, peaceful life. Especially if you’re a sensitive, empathic, person. Self-care, of course, includes the obvious elements, such as a nutrient-rich-plant-rich-diet, plenty of exercise, and good hygiene. None are optional if you want to maintain good health. To maintain happiness and inner-peace, self-care must include emotional, spiritual practices as well. 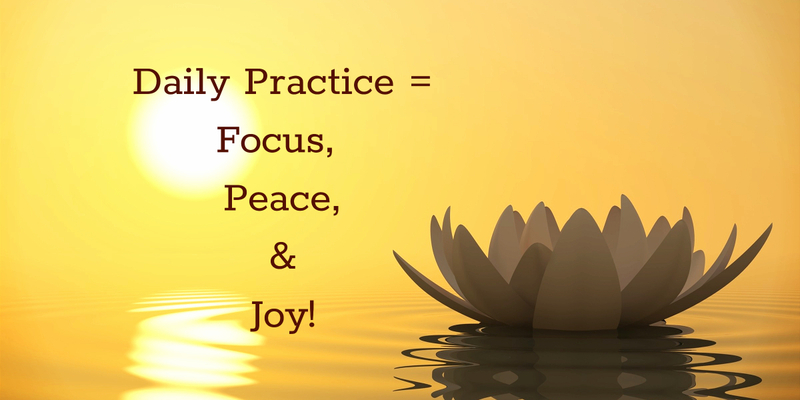 My daily practices, which I share below, help me stay centered, focused, optimistic, connected, creative, productive, peaceful, and happy. These are the tools and techniques that work for me. With most, I mix and match, depending upon the day, the amount of time available, and my emotional/spiritual needs. Some practices, such as Meditation and Gratitude, are non-negotiable, and I do them every day. Most days I usually do at least 4 or 5 of these techniques. Some days I do only 2. Other days I might do them all! Some are so quick, or so easy to fit in my day, that they don’t take ‘extra time.’ And, truth be told, when I don’t do anything, which does happen once in a while, I feel completely off, out of focus, and anxious. That’s why I use a checklist to track my progress. I’ve learned the hard way, it’s not worth falling off track. Create your own plan. Take any of the following techniques that work for you, add in your own, and tuck them into pockets throughout your day. Choose at least one activity, such as meditation, to do each day, no matter what. None of the activities need to take a lot of time. And, as long as you’re peppering them throughout the day, you’ll be optimizing your energy. I practice some form of meditation, each day, from 10 to 60 minutes. Some days I do two or more shorter meditations. Insight Timer, is a fantastic, free, app, that I use to time my meditations. It comes with an extensive library of sounds, bells, meditations, and music. For this meditation, I use The Abundance Book, by John Randolph Price. It’s a little green book with 10 principle statements. I meditate on one principle a day for 15 minutes, for 40 days or more. This helps keep me in an abundant, spiritual, frame of mind. Closing my eyes, I meditate for 5 minutes on something for which I am grateful. It can be something that I already have, or that I would like to have. This sense of gratitude feels truly authentic, and really, really good. I hand-write write my goals, in present tense, expressing my gratitude for reaching them. This feels good, and it helps me keep on top of my goals. I write my goals nearly every day. This takes about 10 minutes. Originated by Author Julia Cameron, morning pages are 3 hand-written free-flow pages each morning. They’re invaluable for clearing the mind, and sparking creative flow. Exercising in the morning invigorates me for the rest of the day. Movement is crucial for efficient energy flow, lymph flow, strength, anxiety release, and more. I add the Heart Breath in whenever I feel stuck in my head. 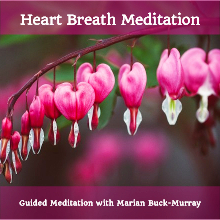 The Heart Breath helps me drop out of a busy, over-worked mind, into the peace and calm of my heart. It’s a great tool for reducing anxiety. 1 minute, or longer. Somewhere during my day, I find time to read. Sometimes it’s work-related, but it’s always uplifting. This includes music, podcasts, Hayhouse Radio, audio courses, and more. I like to listen when I make dinner. This helps keep me in a positive, optimistic, frame of mind. This is an any-time-of-the-day, as-needed, practice. EFT Tapping is perfect for releasing anxiety, tension, fear, sadness, or any other unwanted feelings that might creep in. Click here for an illustrated guide for the tapping points. Gratitude is something that can be expressed in many ways throughout the day. In addition to my 5-minute gratitude meditation, I enjoy spontaneous moments of gratitude, or write a gratitude list, or a thank you note, or simply say thank you, thank you, thank you as I do something that brings me joy. Gratitude helps me feel more connected to the spiritual world. And, the more grateful I am, the more I have to be grateful for. Nothing better for pleasing the senses and soothing the soul. Enjoy! And reach out — let me know what works for you! To schedule a FREE 30 Minute Call, where I’ll help you get clear on your best strategy to honor your sensitivity, and give you a tool to turn it into a superpower, click here.